Infiniti Qs Inspiration sedan concept has got electrical installation and all-wheel drive system. Nissan is disappointed with Daimler' cooperation, so the premium brand Infiniti says goodbye to Europe. Infiniti will show the concept of Project Black S in Paris on October 2. The prototype was helped by the specialists of the Renault Sports F1 team. Perhaps in the future, this car will become serial. Infiniti distributed a new teaser of the first electricity roadster. The company Infiniti until 2023 will make 5 new products at once. 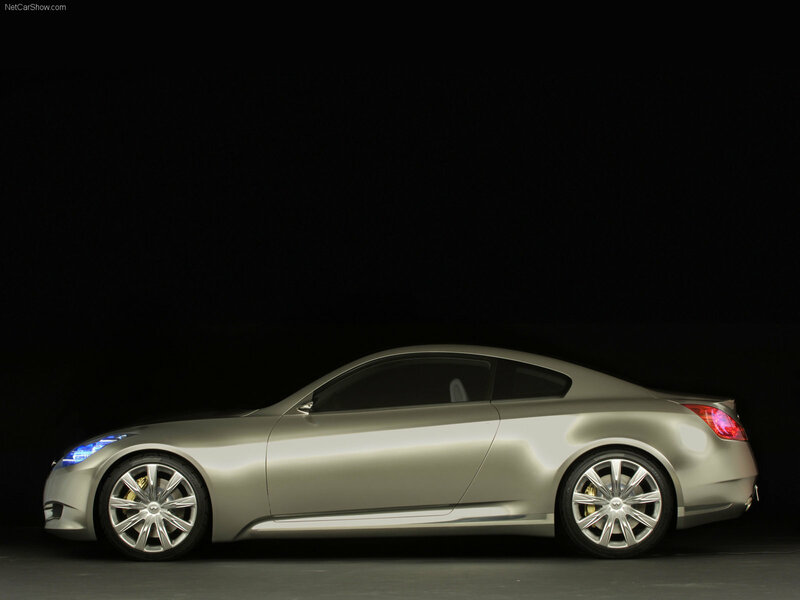 We select only big size infiniti coupe photos for our photogallery.